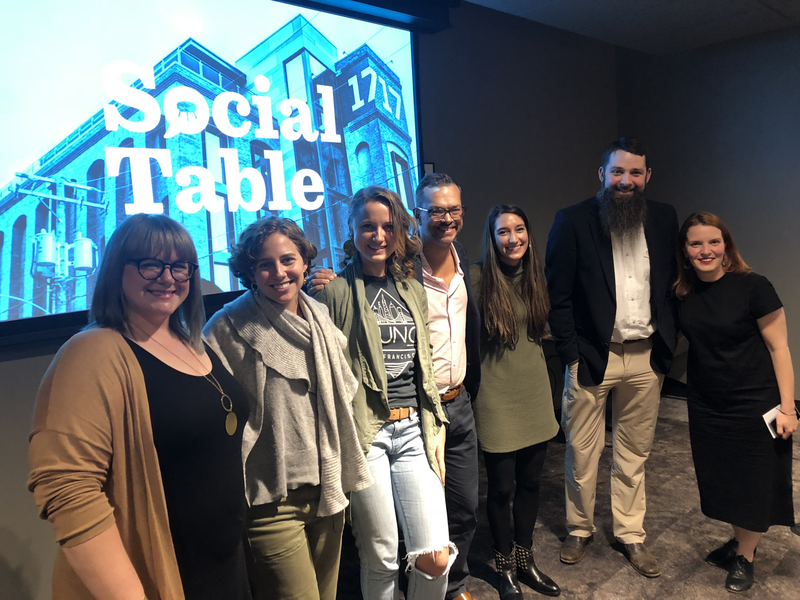 I recently had the pleasure of being the emcee for Capital One’s Design Pro Bono event, Social Table, which was brought to Richmond, Virginia for the first time and held at Capital One’s 1717 Innovation Center, which also houses Startup Virginia. ‘It’s always really exciting to hear from other people who wouldn’t call themselves designers, doing that work, every day, and not even thinking about it. 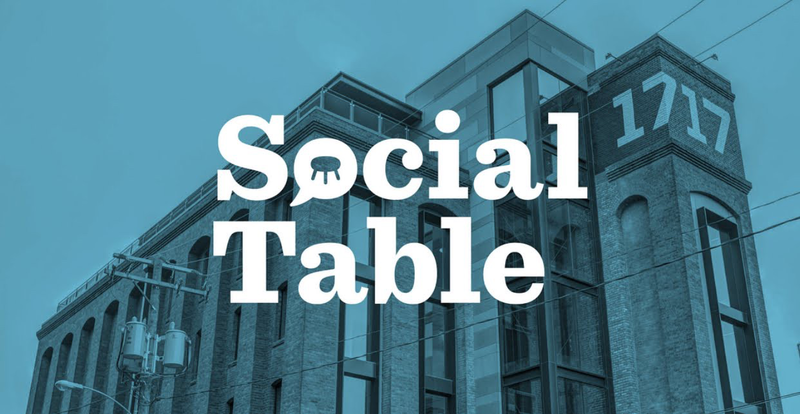 Richmond, Virginia, while considered a smaller-scale city, has enough community, creativity, innovation, entrepreneurship, and heart to match most large cities, so finding people to share their stories with us for Social Table was not a difficult task. We were able to narrow our pool down to six diverse speakers, all with various backgrounds, interests, and experiences, that are strong influences in our community. Our first speaker, Ryan Rinn, the Executive Director of Storefront for Community Design, told us his story of creating a space that is welcoming and that provides the ability for non-profits to get together to work intentionally since they could be better suited if resources, such as rent, utilities, space, etc. are shared, which was how Storefront and 6PIC / City Builders were born. 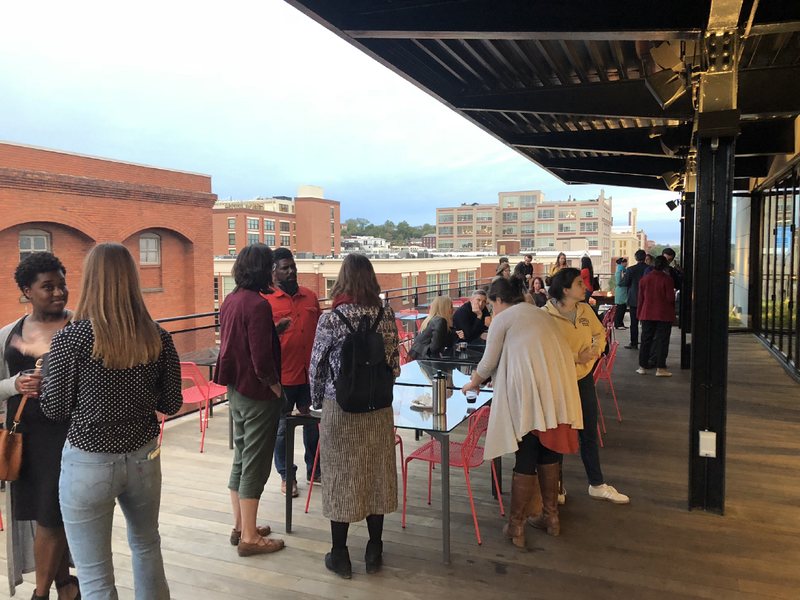 These projects allow young Richmonders between the ages of 13 and 24 to work together to create changes in Richmond, such as housing and transit policy solutions that directly affect them. They create plans for real, tangible solutions of what improvement looks like for Richmond. Reggie Gordon, who is the director of Richmond’s Office of Community Wealth Building, taught us how we can become community wealth builders. I’ve heard Reggie speak about this subject in the past, and it always hits really hard to realize how hard of a dividing line there is between those who are born and die poor in Richmond and everyone else. He’s driving change by bubbling up the awareness that there are more ways than donating your time and money at the holidays — that there are every day needs that make a huge difference in the lives of people. These are things that could make or break someone’s life — something as simple as if a person is able to stay employed by donating a pair of required work boots they may not be able to afford otherwise. 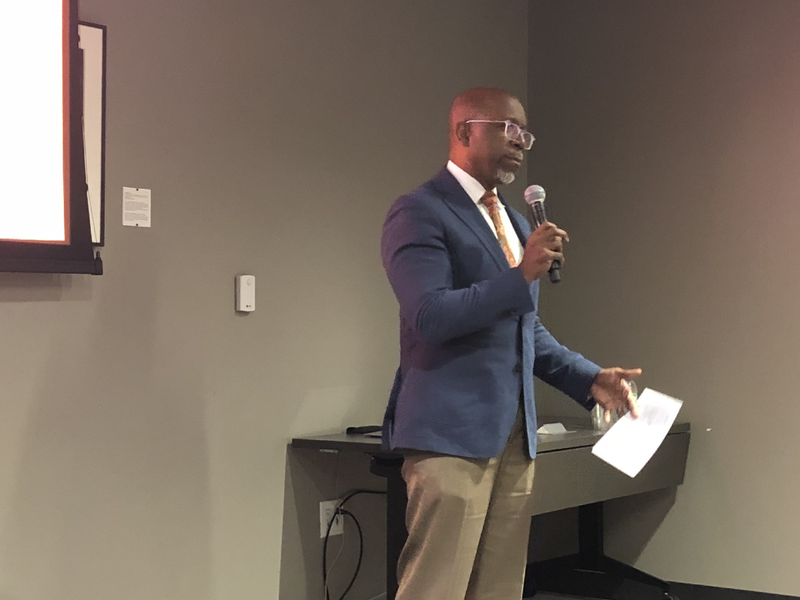 Reggie’s goal is to have strategic conversations and create opportunities for real changes to be made in people’s lives, to help them break the poverty cycle. Listening and intellectual insecurity was the topic of our next talk from Becky Crump, founder of Mindful Mornings. 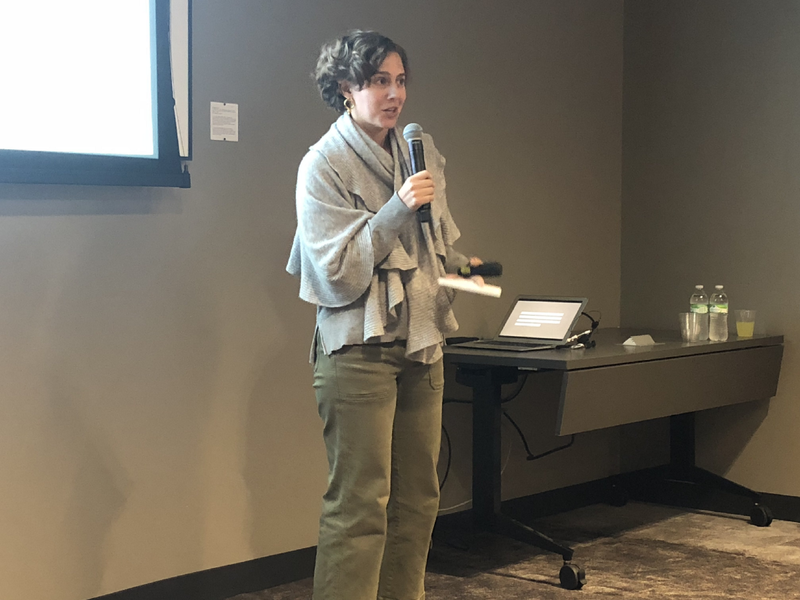 She made it very clear that this talk was NOT about Mindful Mornings, but instead, focusing on her experience with listening, both to intuition and to others. In her words: “Listen to the people you serve: That’s where you find opportunities, issues, innovation.” That statement is so very important and really resonated with me — both personally and professionally. It’s something that I’ve used every day since when guiding my daily life. Her suggestion is to listen to others, but not too much. Listen to your body and your instincts, and not your ego. Her tip for this is to realize that your instincts are unwavering, unflappable, and connected to purpose, where as your ego is wild, unruly, seeks attention from others. Try and move your mind from attention (look at that what that person is wearing) to curiosity (wonder what they do) to wonderment (who are they?). It’ll give you a new perspective to do this simple exercise. I promise. Ali Greenberg took a very unique route to getting to point — starting out by talking about the thermal comfort equation and ending with the point of making sure that you’re always thinking through who you’re creating for, why, and who your audience is. Ali is the creator of The Broad, which is the only space in Richmond, that is making space for women, a space that does not have a binary view of womanhood. The reason she took us through the thermal comfort equation, hits home the reason why she created The Broad — buildings are built around this equation, which is based on an average male’s metabolic rate, from the 1960’s. It hasn’t changed since then. She purposely designed The Broad with constant input on what allows women to thrive — what women want and need. The outdoor space at 1717 Innovation Center, home of Startup Virginia. 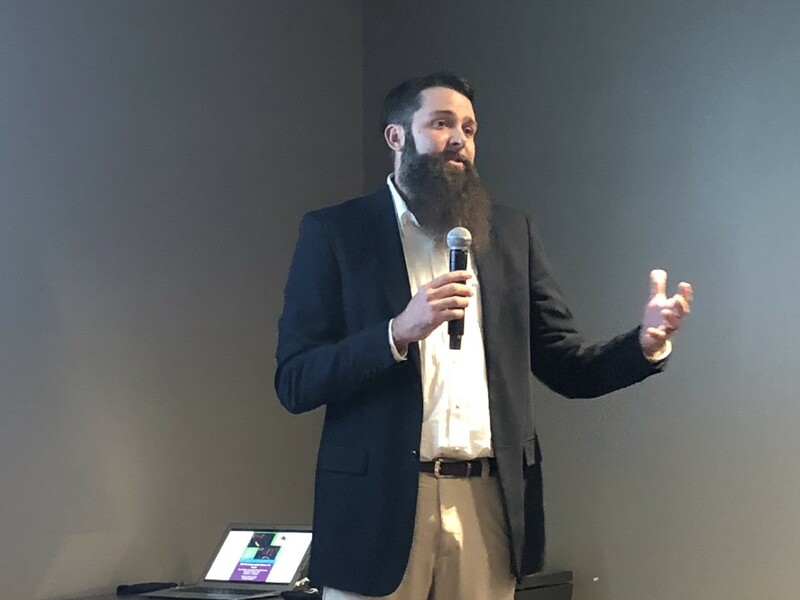 Richard Wintsch is the Executive Director of Startup Virginia and told us a bit about how they came to be and the partnership with Capital One. 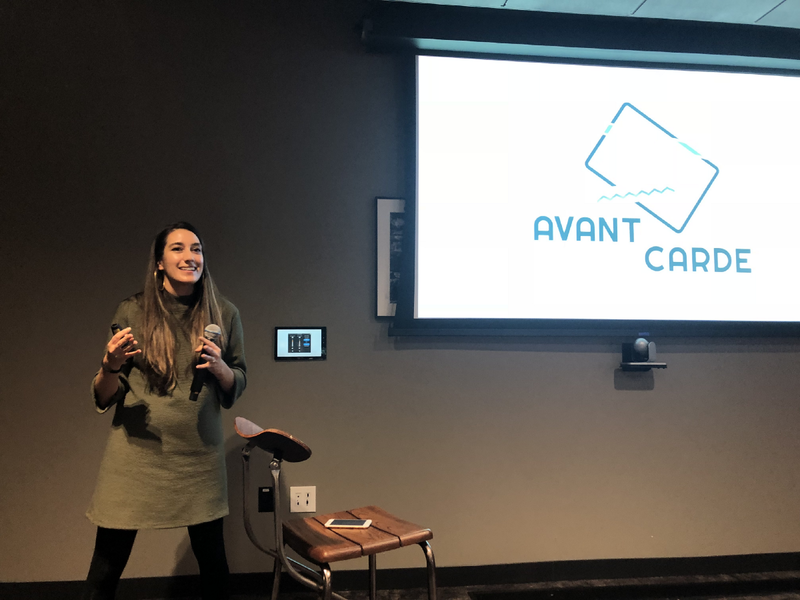 Startup Virginia is a multitude of things — an incubator for startups, a space providing opportunities for mentorship and learning, and overall, a product of design thinking to focus on early stage, and new businesses to help them grow faster and smarter than they could have on their own. They also provide free educational programming to the Richmond community, and are proud to have a minority representation of 41%! Most importantly, any non-profit is welcome to come in and present a problem for review to potentially receive training and resources to find solutions. 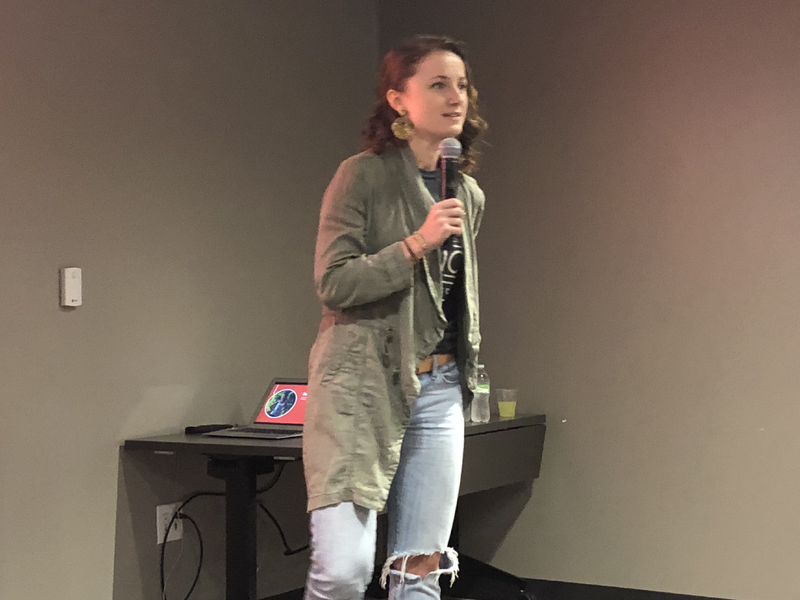 Our last speaker was Meghan Rosatelli, an experience designer from Capital One by day, and self described art nerd by night. She’s also a professor at University of Richmond who taught us a bit about humans and computers and the bridge (or lack there of) between the two. In her words, “Our bodies are not computers or digital networks. Computers can’t feel the loss of a child and they don’t ban together to help others during a flood, so are we numbing a symptom instead of solving a problem?”. 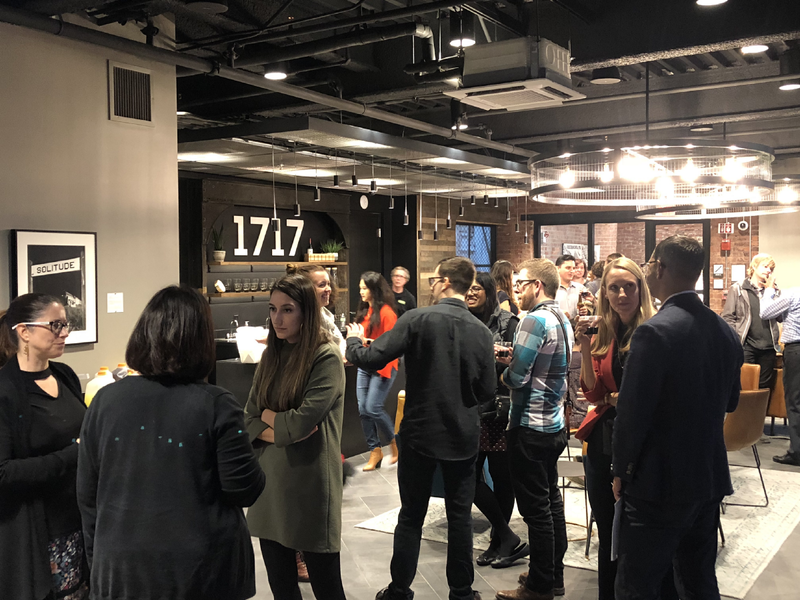 It was a wonderfully enlightening night, that finished with a lot of discussion among the attendees — people connected, and the energy level was buzzing with chatter around all of the speaker topics. Courtney Allison Brown is a Manager, Design Operations Lead at Capital One. Come work with her!